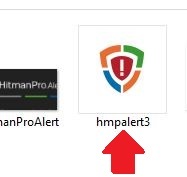 This guide is helpful for users seeking to install HitmanPro.Alert anti-malware program and run them on their computer to detect any threat and remove them. 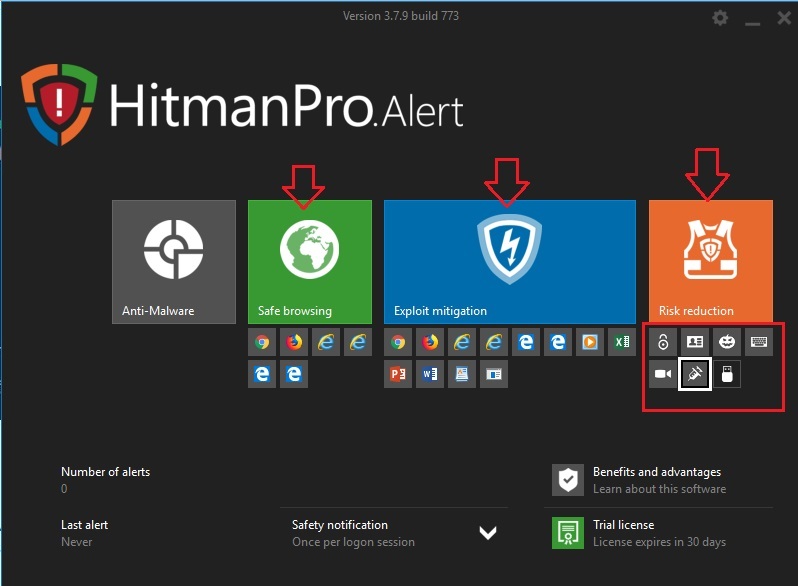 At the end of the article, we will also guide you how you can configure advanced settings of the program so as to get maximum protection. 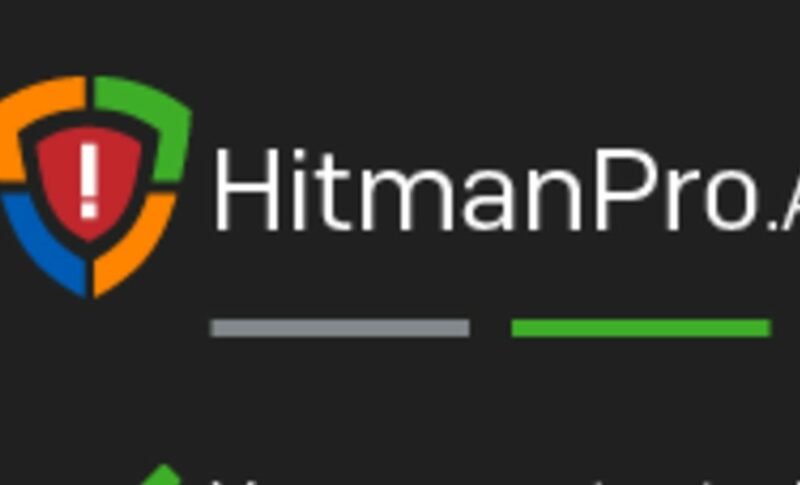 If you still not have read the review of HitmanPro.Alert, then we recommend you to first read it and then install it. 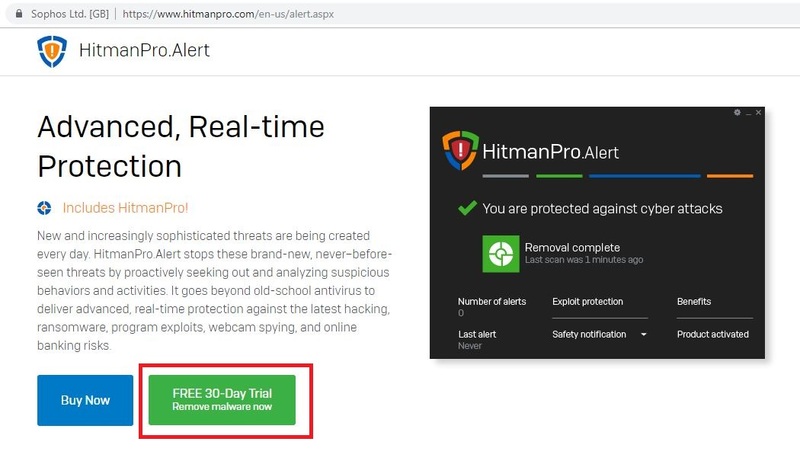 We have tested HitmanPro.Alert 30-days free trial version, lets see how it works. And tick the other boxes and finally click on “Install”. 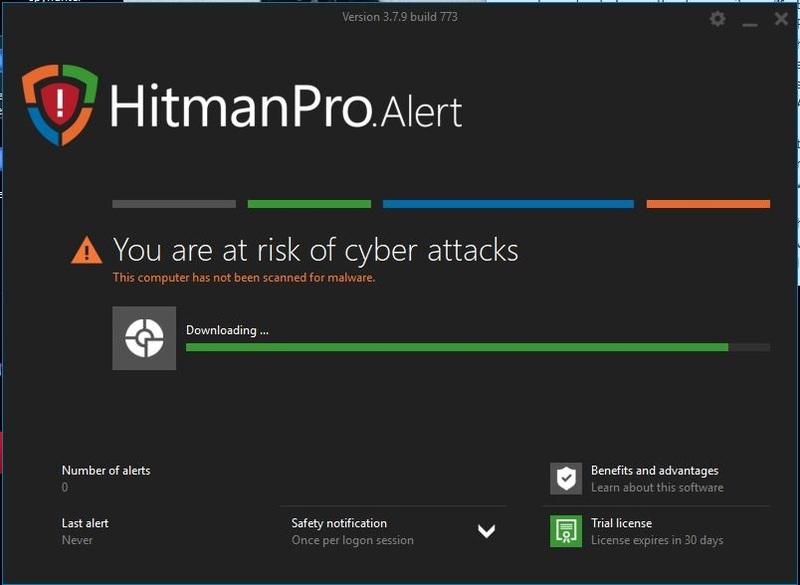 HitmanPro.Alert only takes 5MB of your memory and is very quick to install. After the installation is complete, the scan will start. First scan may take up some minutes, as it will scan the whole computer. The scan results are displayed. Carefully look down the list. 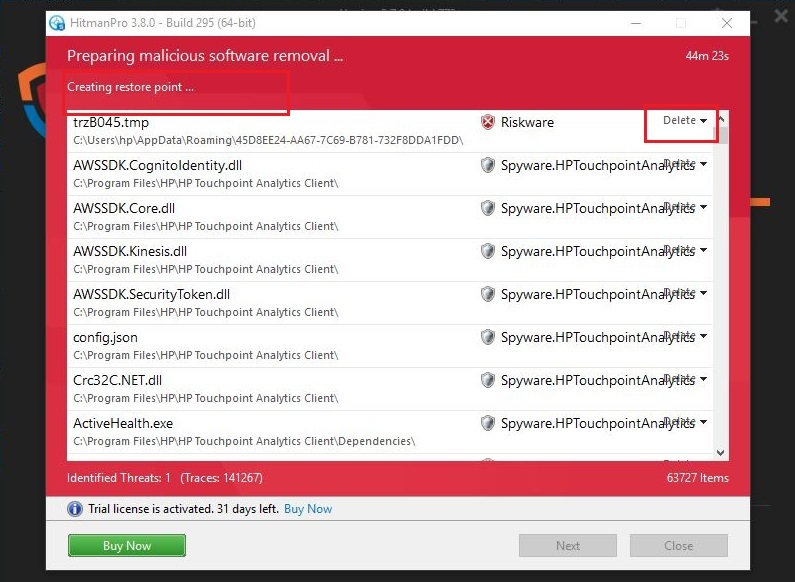 You can here, the scan has found 1 Riskware and thousands of traces which can be risky. 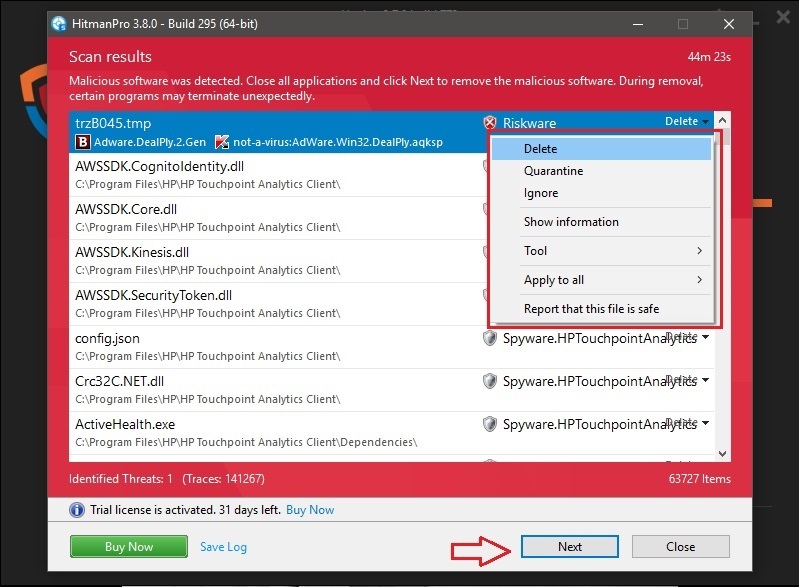 You can select the threat to delete, quranantize, ignore or, mark as safe. If you want to remove all the threats, then simply click on the “Next” button below. 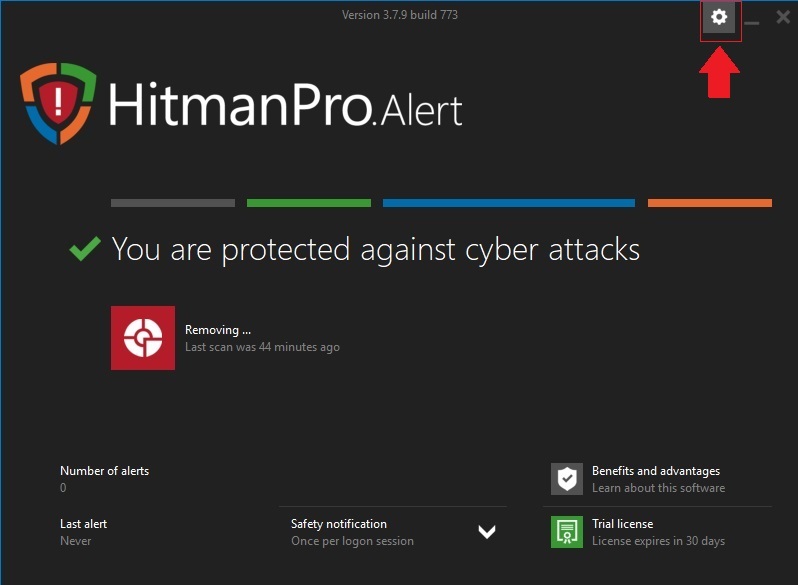 HitmanPro.Alert first creates a restore point and then starts the removal process. This helps to recover from any damage. 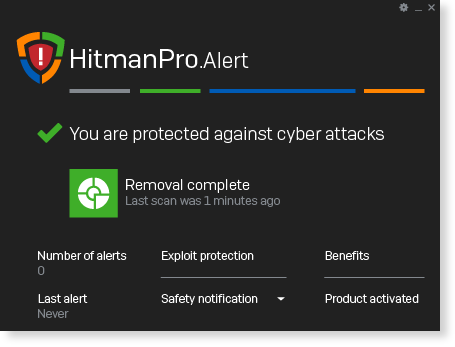 So, now you are done, with the removal process with HitmanPro.Alert. By default, you can the standard interface that is for normal users. 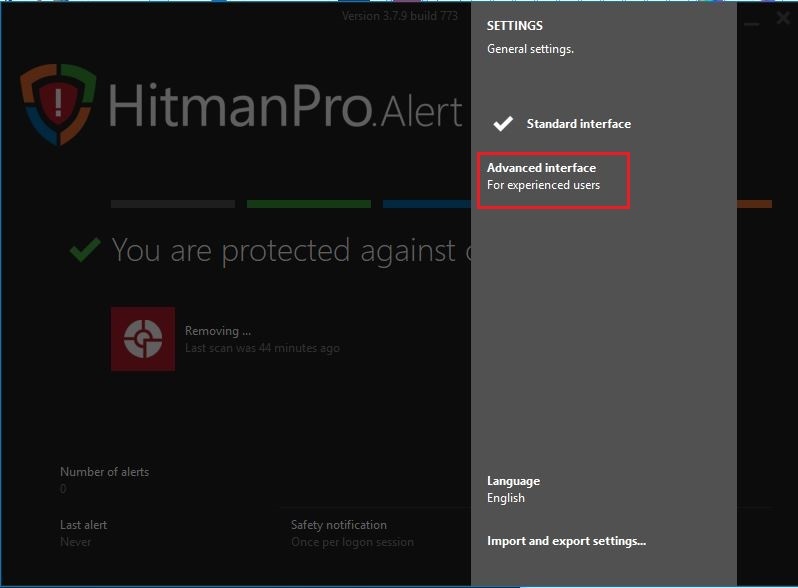 But HitmanPro.Alert is featured with lots of advanced settings that you can configure to get the maximum protection out of it. It contains various security features that is enough to fight against any sort of attack. By default some features are disabled, so you need to enable them as per your preferences. To switch to advanced interface mode, you need click on the settings icon on top-right corner of the dashboard. Check all the settings Enable them one-by-one. 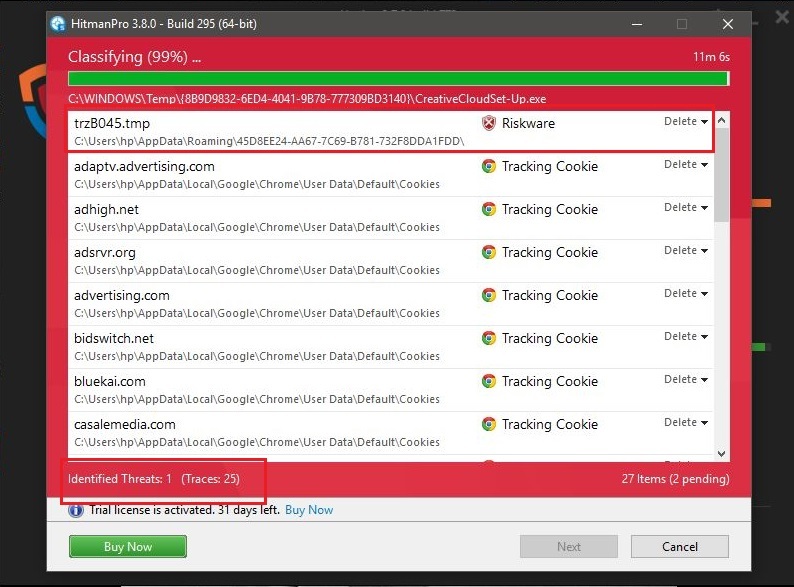 Like, to Enable safe browsing click on “Safe Browsing” icon and Choose “Enable”. There are also small icons below the main ones. 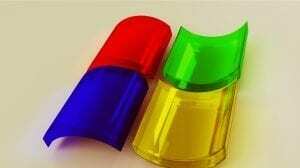 You can also enable them for complete protection. 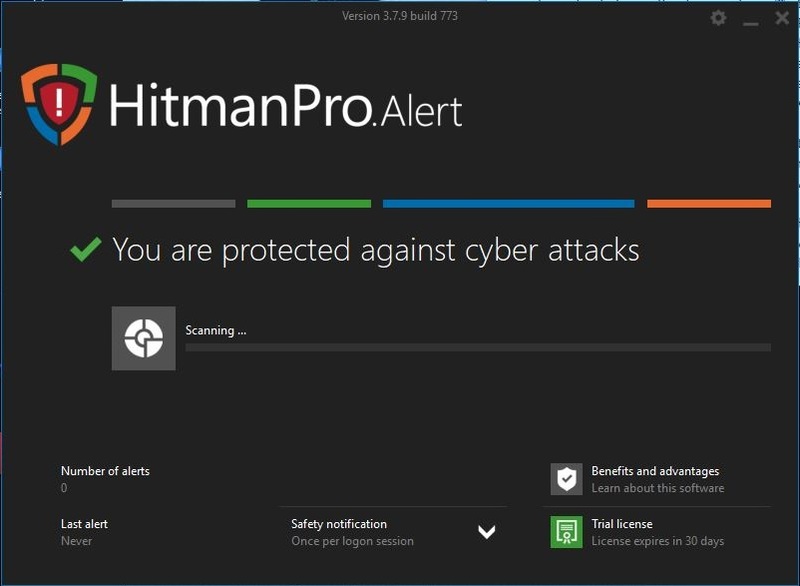 That’s all… You are now protected against cyber threats and attacks. This is only a free-30 day trial version. 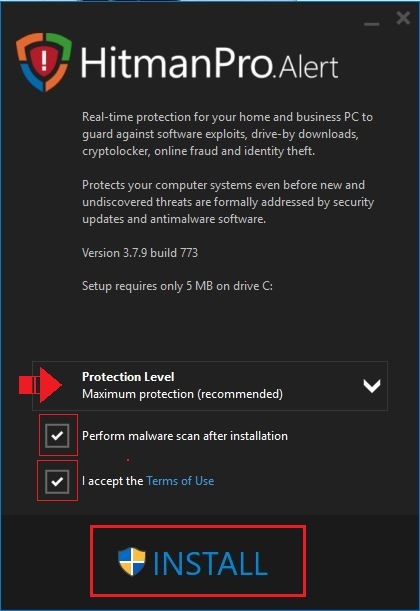 To keep your computer protected throughout, you need to buy the registered version of it. 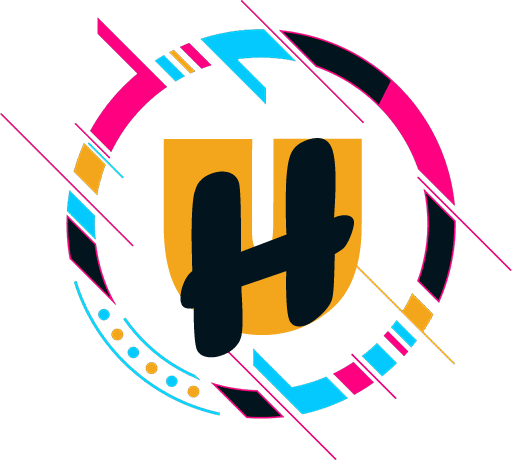 If you have any queries regarding HitmanPro.Alert, then feel free to ask us.